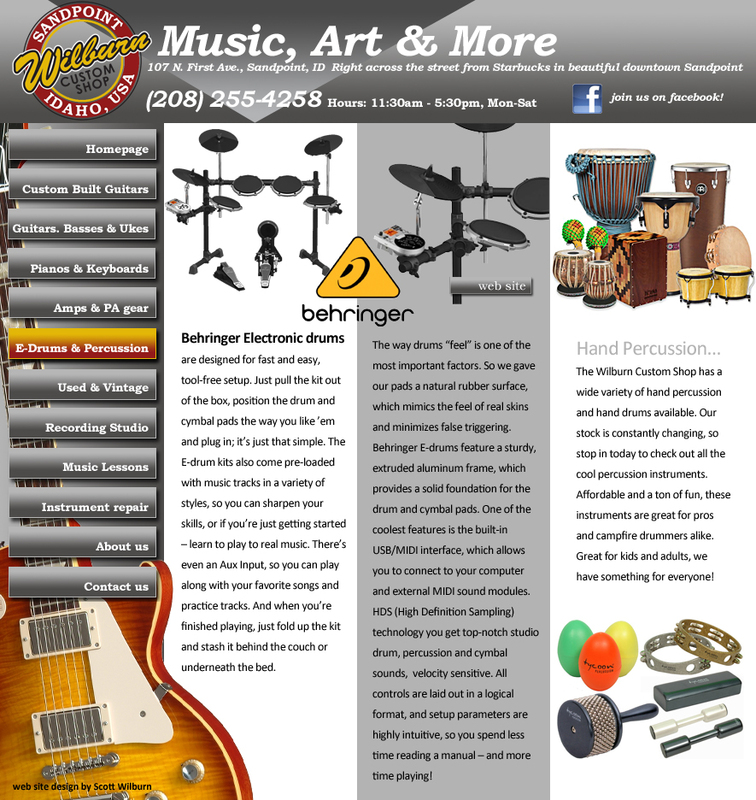 The Wilburn Custom Shop in Downtown Sandpoint Idaho sells electronic drums, drum accessories, hand drums, congas, bongos, hand percussion, djembes, cajons, tambourines, maracas, shakers and other percussion instruments. Authorized dealer for Behringer digital Drums. Call (208) 255-4258. The largest music store in Sandpoint Idaho.